Navigate aboard our modern barges for an intimate, delightful and cozy feel – fabrics by ©Missoni Design. 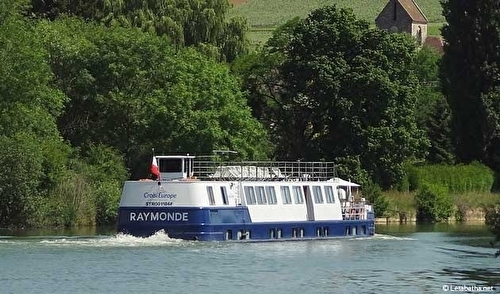 The "Raymonde" barge travels along the Marne Canal. Facilities include spacious lounge with bar – restaurant – sun deck with chaise lounges and umbrellas – barbecue area – Jacuzzi near the bow of the ship - bikes available on board – Wi-Fi. 6 night cruise sailing from Paris aboard the MS Raymonde.